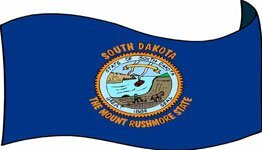 The South Dakota state motto was adopted in 1885 and is also featured on the state seal. This adoption of motto and seal took place four years before South Dakota joined the Union. The South Dakota state motto "Under God the People Rule" was suggested by Dr. Joseph Ward (founder of Yankton College) at the Constitutional Convention. Dr. Ward was also the one to suggest the North Dakota state motto . 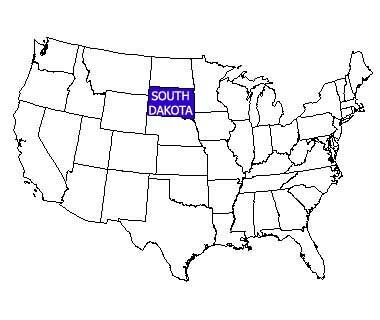 The emphasis of belief in God or another Deity like figure is not only conveyed in the South Dakota state motto but also appear in the state mottos of Arizona, Colorado, Florida, and Ohio. This official South Dakota state nickname is a reference to the giant granite sculpture in Mount Rushmore made by Gutzon Borglum. The Mount Rushmore National Memorial pays tribute to the first 150 years of the United States' history featuring the former Presidents George Washington, Thomas Jefferson, Theodore Roosevelt, and Abraham Lincoln. This is one of South Dakota's attempts at attracting tourists. This South Dakota nickname is a refers to the large number of artesian wells found in South Dakota. 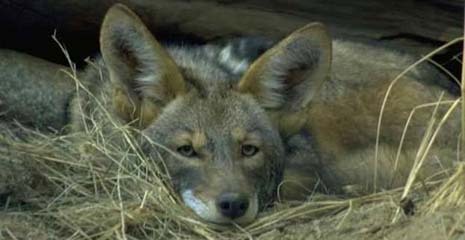 Coyotes were so plentiful in state that it made ground for this nickname. Rough winters in South Dakota are the reason for this nickname which is also shared with Texas Texas. "South Dakota: Great Faces. Great Places"
"South Dakota: Closer Than North Dakota"
"South Dakota: Home of the Badlands and Huge Drugstores"
Some of these South Dakota funny state slogans can be bought on t-shirts. Or maybe Alabama, Alaska, Arizona, Arkansas, California, Colorado, Connecticut, Delaware, Florida, Georgia, Hawaii, Idaho, Illinois, Indiana, Iowa, Kansas, Kentucky, Louisiana, Maine, Maryland, Massachusetts, Michigan, Minnesota, Mississippi, Missouri, Montana, Nebraska, Nevada, New Hampshire, New Jersey, New Mexico, New York, North Carolina, North Dakota, Ohio, Oklahoma, Oregon, Pennsylvania, Rhode Island, South Carolina, Tennessee, Texas, Utah, Vermont, Virginia, Washington, West Virginia, Wisconsin, and Wyoming.